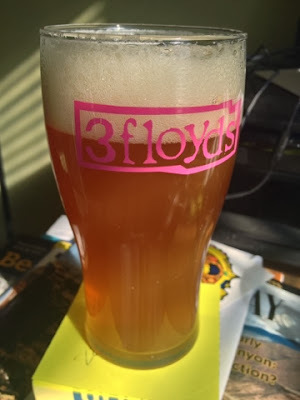 Indiana Beer Barons: Clean your F'n glass! Let's talk glassware again, not about my obsessive need to collect 'em all, but about keeping them clean. This is not simply about making sure all your glasses are pretty, this is about making sure your beer tastes its best. 1. Obviously there's something else in your glass besides beer and who knows what it is, but it could be impacting the beer's taste (mmm notes of last night's meatloaf). If this is your own glass it might not be a big deal, but at a bar the culprit is more of a mystery (mmm notes of the last person's saliva). 2. Those bubbles, when allowed to escape, help deliver all the wonderful hoppy, malty, yeasty aromas that someone worked so hard to craft for you. Keep in mind that the vast majority of what you taste is influenced by what you smell. At a bar, if you think your glass is dirty ask for a new glass and a new beer. At home clean your glassware properly. "Well Mr. Glassware snob, how do I do that?" Well first of all that's Dr. to you, but here are a few quick tips on how to clean your glassware at home. This also seems like a good time to bring up another serving pet peeve of mine- don't drink beer out of a frosted glass; slightly chilled is okay, but room temperature is best. Frosted glasses cause foaming issues that tend to drive off too much carbonation and aromas. Also, that coldness numbs your taste buds- ever wonder why the macros make such a big deal about really cold temps? They don't want you to taste what they are serving you. Eventually your beer will come up to proper serving temp, but why waste that time? 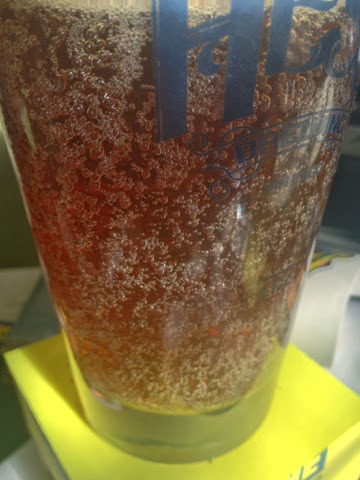 Finally, those wonderful ice crystals trap all the yummy smells and tastes that your freezer has been storing up and then releases them into your beer. I hope you've learned something today, now go forth and clean!